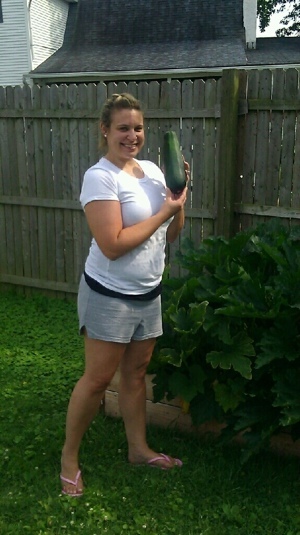 Today I picked my first zucchini from my garden!!! It was so huge too! Perfect in every way!! 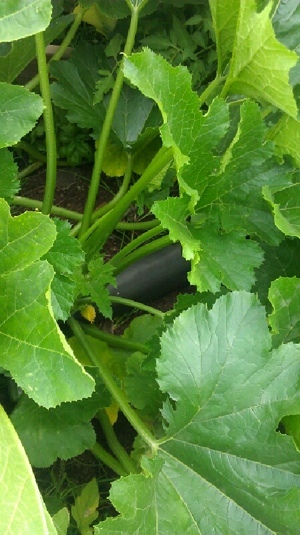 Hubby thought I was pulling a fast one until we went to the garden & I showed him my mutant zucchini!! Tonight I chopped some of it up and put it in my grilled veggies. Yummy! 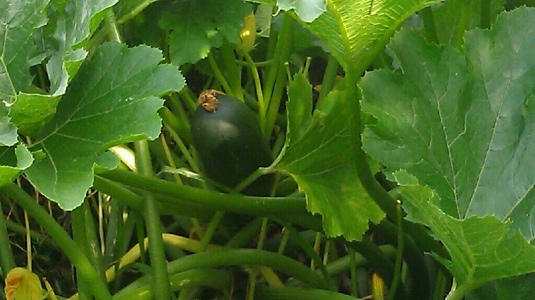 Tomorrow I plan to bake up some zucchini bread! I’m so excited to have actually grown my own food! Such a great feeling! Love the zucchini!! Outs aren’t ready yet but I’m assuming that’s because I live in Northern Ontario and an probably a few weeks behind the climate where you live!!! Growing your own veggies is so rewarding. How beautiful. 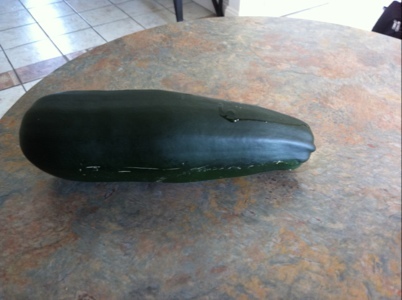 Now I feel like making stuffed zucchini for dinner. 😉 Thanks or the inspiration.